My first review on the contents of the Zaron goodie bag. swatches of the colours. see how pigmented they are? the only colour i had to swatch repeatedly was the yellowish-gold and that was because the camera for some reason didn't pick up the colour in the pictures. 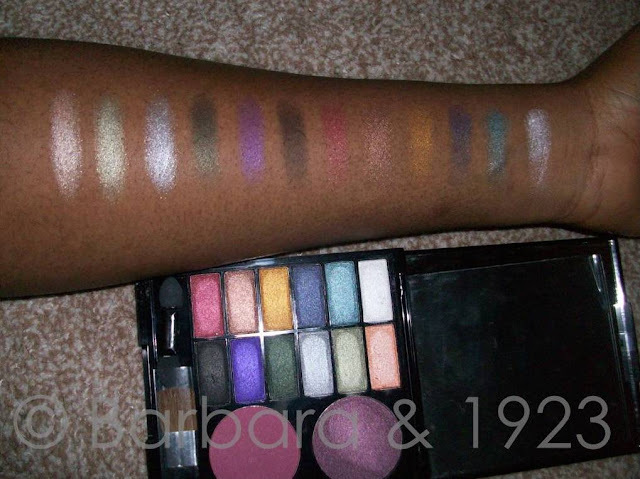 Also, as can be seen from the swatched, all the colours have a satiny finish to them. I have come to associate this finish with the Zaron palette e/s. swatches of the blush colours. Needless to say, the colours in this palette are super pigmented. 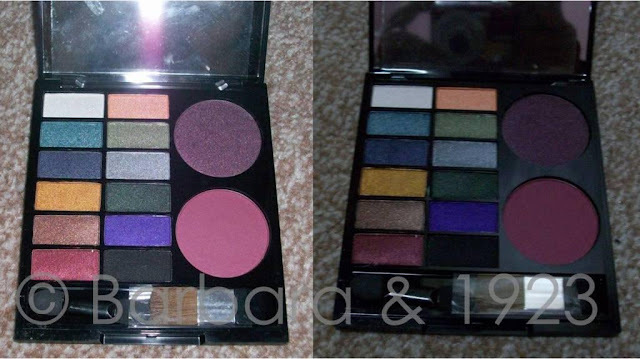 If you are into more subdued looks and smokey eyes, this palette will work beautifully for you. I have had a lot of fun playing with this palette and I have a couple of FOTDs and a bright purpley-pink look I did on my sister for a wedding over the weekend. *This product was a gift. All opinions expressed in this post are my candid opinions. Why don't you like the blushes? I absolutely love them, I only meant that it would have been nice to have something shimmer to go with the earth scheme of the palette. I have been playing around with the matte one while looking for a suitable opportunity to wear the shimmer purple one. Awww, i hope all my reviews have been helpful to you. I am so glad I can help out. ok hmm i tnk its d colour dts scaring me most ppl r used 2 just seeing pink blushes and i fall in that category am yet 2 try out anyoda shade maybe soon i hope. Oh no dear, there are so many colours in the spectrum that can be used on african skin asides from pink and remember, there are shades of pink that don't do well on our skin too. You should experiment more, only then will you know.